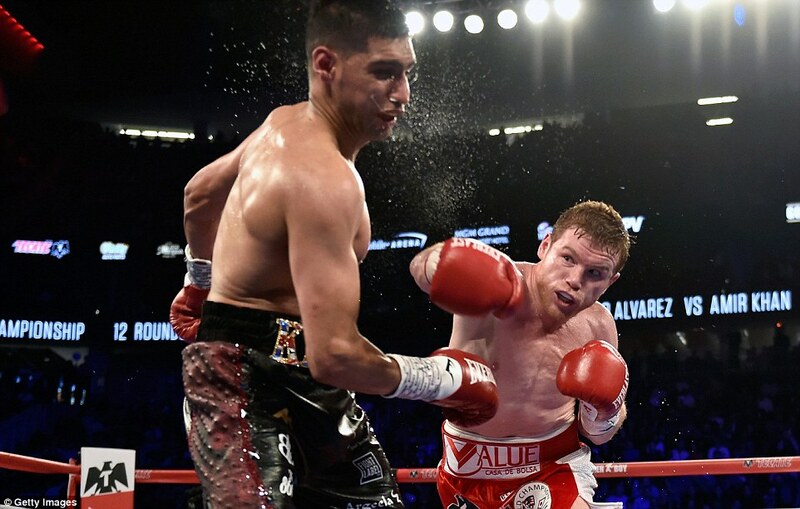 It was a very close race for the 2016 Knockout of the year, but when Saul “Canelo” Alvarez (48-1-1, 34 KO’s) cold clocked Amir Khan in to next week, it was almost immediately the unanimous choice for knockout of the year, no matter what happened the rest of the year. Deontay Wilder’s knockout of Artur Szpilka was a close second choice, because Szpilka was out cold for a while after Wilder hit him with a right hand. Amir Khan made a very gutsy decision, by moving up 2 weight divisions to take on Canelo in a big money fight. At first he looked good, and his speed seemed to bother Alvarez a bit. But it was only a matter of time before the naturally bigger and stronger man, got in the perfect shot. Canelo hit Khan so hard, that Khan was out cold on the way down to the mat. You could tell by the way his head smacked off of the canvas. And Canelo knew it too. He knelt beside Amir Khan to make sure he wasn’t seriously hurt. He knew just how hard he hit his opponent, and Khan’s reaction showed it. So Canelo Alvarez’ KO of Amir Khan, goes down as the INSIDE RINGSIDE 2016 Knockout Of The Year.